Lang+Lang is manufacturer of high-quality digital prints on a variety of substrates including glass, wood, metal, wallpaper, fabrics and many other materials. We offer full-service solutions in all areas of visual communication – architecture and interior design, exhibition and point of sale advertising. Support in graphic development, project management and installation onsite complement our services. 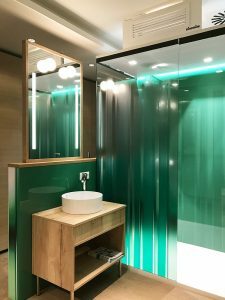 SanMOD® – revolution of modular bathrooms as alternative to bathroom pods. Individual design – just in time production – quick installation.